We are improving bus service to the Greenbelt area at the end of March – simpler routes, better coordination with other routes, and new weekend service! Residents, local advocates, and city officials in Greenbelt have been asking for improved service for years, and for good reason. 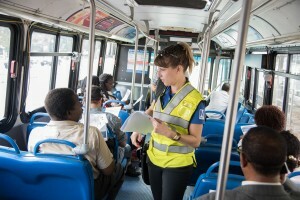 Demand for bus service in Greenbelt is high – the Greenbelt-New Carrollton Line has the highest Saturday ridership of any lines with 6 day-a-week service. So last year, our bus planners proposed a series of changes that would improve bus service in the Greenbelt area. After an extensive public outreach process, a planning staff recommendation, and a board approval, we got the green light! The changes at Greenbelt, along with many others, begin March 27. New Sunday service on routes G12, G14, and C2! On the College Park Line and Greenbelt-New Carrollton Line, we are removing routing nuances and complicated lines to make bus service more consistent and understandable to customers. Original map submitted to the public and board for G12,13,14,16 changes in FY2015 that are being implemented on March 27, 2016. On the College Park Line, route 83 will now run seven days a week. 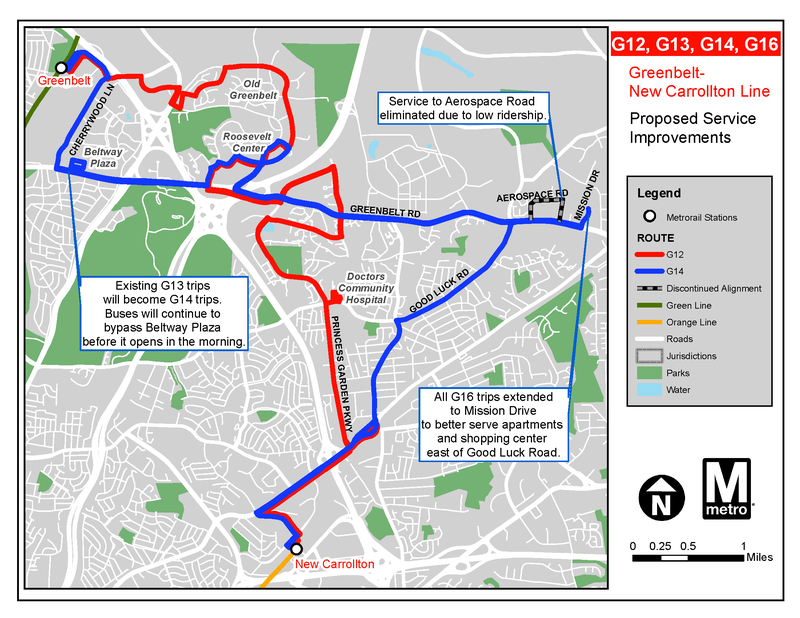 Now that we’re adding Sunday C2, G12, and G14 service (see below), the Sunday-only route 81 is no longer needed, so we will replace it with route 83 trips. At its inception, the 81 was a route 83 variation intended to give Greenbelt Sunday service when there was no other bus route serving Greenbelt Metrorail station on Sundays. This means that route 83 will run seven days a week, and the College Park Line will consistently serve the College Park – U of MD Metrorail station. Metro is changing bus schedules across the region starting Sunday, March 27. Stay tuned to PlanItMetro for an in-depth look at two of the biggest changes: the Greenbelt area, and the Z-Lines. Metrobus planners will be implementing schedule adjustments to improve reliability, route simplicity, and customer service. Most of these changes are the latest round in Metro’s ongoing State of Good Operations process. Check below to see if your routes will be affected by any of the changes, then prepare yourself for March 27 by viewing the new timetables. 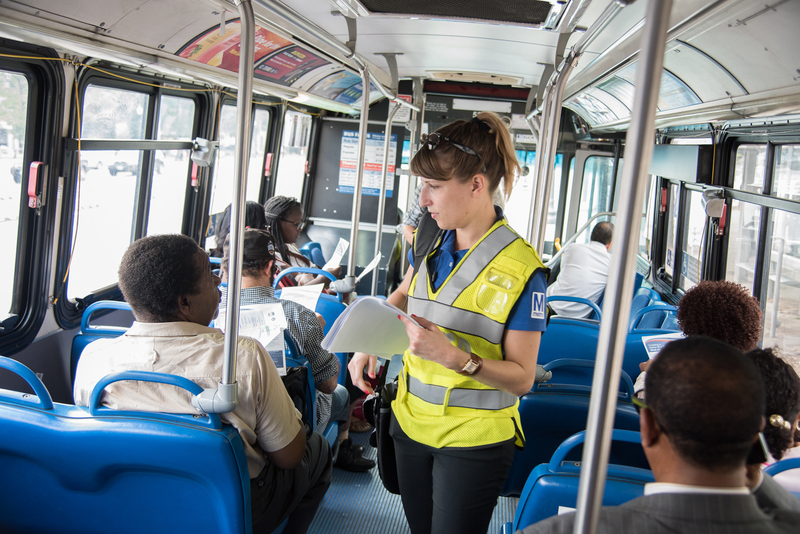 Bus schedules are being updated for 25 routes across DC, Virginia, and Maryland, starting Sunday, December 13. F4 bus at Prince George’s Plaza. Photo by WMATA staff. Most of the service changes are minor adjustments to trip times. Check out the service advisory for more detail and the upcoming schedules to plan accordingly. The biggest changes affect riders of the 3A, 3Y, and 26A. 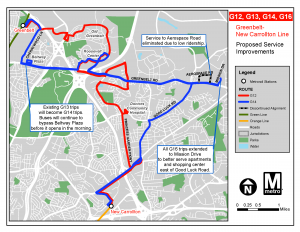 This group of changes is a product of the 2015 Bus State of Good Operations process to improve service in the Lee Highway corridor around East Falls Church. The 3A Lee Highway-Falls Church line will no longer operate between East Falls Church Metrorail and Rosslyn Metrorail stations along Lee Highway. Route 3A will be shortened and only operate between Annandale and East Falls Church Metrorail station. On weekends and holidays, the 3A will be extended to serve the Seven Corners Transit Center. Service along Lee Highway between East Falls Church and Rosslyn will be provided by new Arlington Transit (ART) Route 55. The ART 55 will serve all current Arlington County 3A stops and operate seven days a week, with increased midday and weekend service. Check out the new 3A schedule and the new ART 55 schedule. 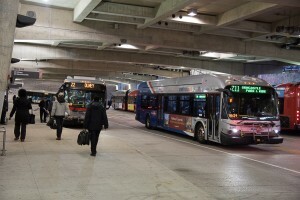 Questions about the ART 55 service should be directed to Arlington County. We are extending the 3Y westward along Lee Highway to East Falls Church. The 3Y will now connect downtown DC, Rosslyn, and East Falls Church. The route will no longer operate along George Mason Drive, Patrick Henry Drive, or Harrison Street. The stops on at N Harrison St @ Patrick Henry Dr and N George Mason Dr @ Patrick Henry Dr will be discontinued. We are adding more trips to the 26A during peak periods. The 26A will run every 30 minutes from approximately 5:30-9:00am and 3:30-7:00pm. 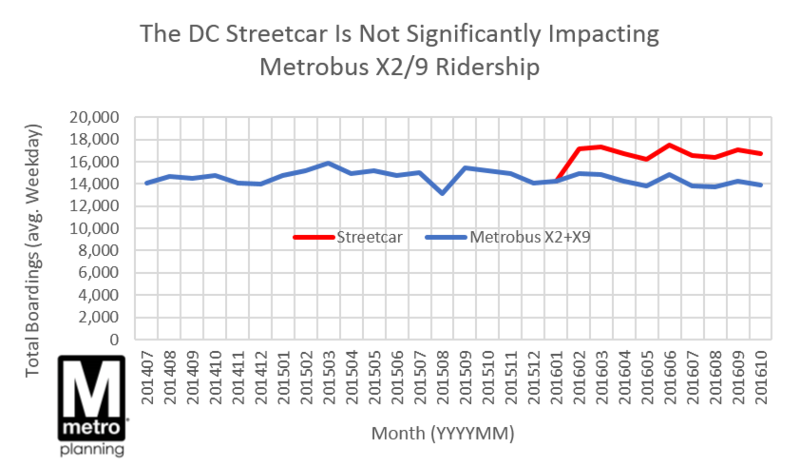 Current ridership is satisfactory at the 60-minute frequency, but the increased peak period service should make the 26A more attractive to both current and potential riders. See if there will be updates to your routes below, then prepare yourself for December 13 by viewing the updated schedules. State of Good Operations (SOGO) changes coming to a Metrobus route near you. Metrobus planning presented the annual 2015 Bus State of Good Operations recommendations (PDF) to the Board on November 19. The package was approved and customers will see some changes starting in December. 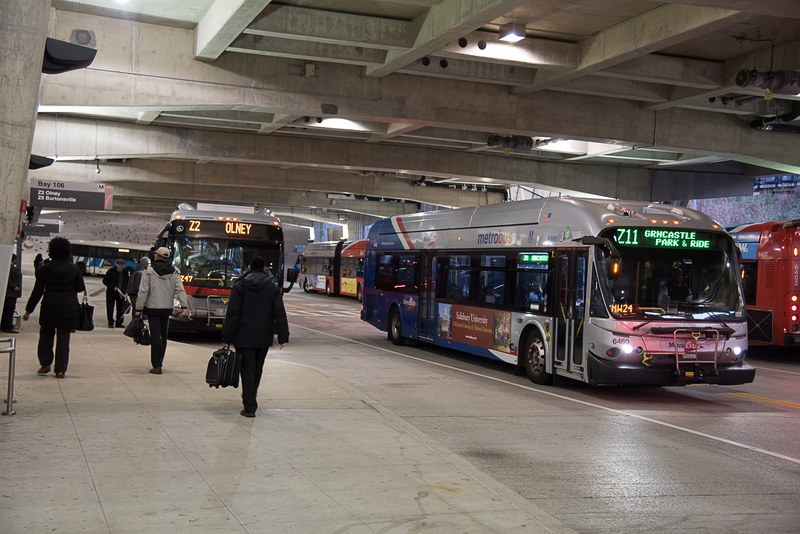 The remainder of the changes will roll out with Metrobus’ March and June schedule changes. Projected change of 10% of the riders on a line in a single fiscal year. Time is running out to provide your input on proposed Metrobus changes. Every year, Metrobus planners propose service changes to maintain a Bus State of Good Operations (SOGO). This year’s official public participation period went live on Saturday, August 15 and will close at 5:00pm on Wednesday, September 23. That’s less than two weeks away! Halfway through the public comment period, we thought we would give you sense of the process so far. More than 3,000 online surveys have been completed. Two-thirds of these returns are from direct email outreach to customers using affected routes. If you are interested in receiving invitations to similar online surveys in the future, please register your SmarTrip card. With more than 20 outreach events completed or scheduled, we are collecting feedback by going straight to the customer. 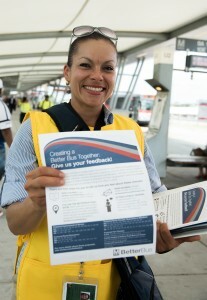 Metro staff is out riding buses and showing up at bus stops and rail stations. We understand not everyone can go online so we are coming to them. Look for us and help us improve your bus experience. These outreach activities have resulted in more than 2,000 written comments from customers all over the region. At the time of this writing, the elimination of the 5A is not being well received nor is the elimination of the segment between McPherson Square and Kennedy Center on the Route 80. Many in the District are giving favorable marks to the free transfer between Capitol Heights/Addison Road Metrorail stations for select routes. Maryland customers are also excited for the Q Line free transfer to and from the Metrorail Red Line between Wheaton and Silver Spring. In addition to English-language replies, we have received completed surveys from Spanish, Vietnamese, and Amharic speakers. Customers from all economic and ethnic groups are chiming in as well. We want to hear more from our customers to see how these changes would affect your travel choices. Let us know how major service changes would impact you. Join the conversation by reading the official docket and submitting your thoughts online or in person. -Attend the public hearing on Thursday, September 17 at WMATA HQ (600 5th St NW, Washington, DC 20001). 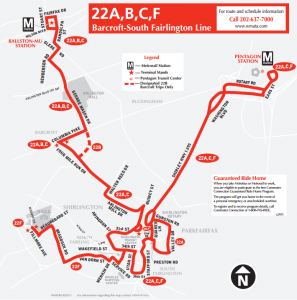 As part of Metrobus’ June 21, 2015 Service Change, the Ballston-Bradlee-Pentagon Line has been eliminated and the Barcroft-South Fairlington Line has been revised. The 25 routes have been evolving ever since the line started in January 1980. This route restructuring is only the latest change to better address the travel needs of our passengers. Routes 25A, 25C, 25D, and 25E (Ballston-Bradlee-Pentagon Line) have been eliminated. 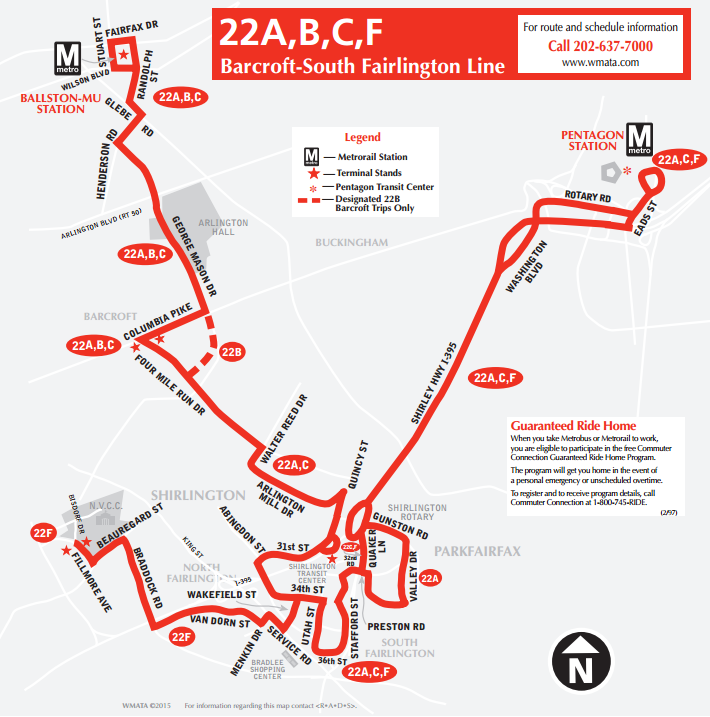 Most discontinued segments of the line have become part of the restructured Routes 22A, 22B, 22C, and 22F (Barcroft-South Fairlington Line). As part of Metrobus’ June 21, 2015 Service Change, the Military Road-Crosstown Line will be restructured to better fit the travel needs of our riders. E2 served Friendship Heights, Fort Totten, and Ivy City on weekdays, but on weekends, the E2 served only Friendship Heights to Fort Totten. 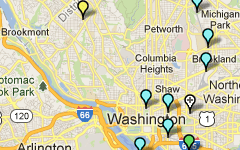 E4 served Friendship Heights, Fort Totten, and Riggs Park on weekdays only. Weekend service was provided by a shortened E2, which traveled between Friendship Heights and Fort Totten only, and Route E3 (a weekend-only combination of the weekday E2 and E4, Route E3 served Friendship Heights, Fort Totten, Riggs Park, and Ivy City). 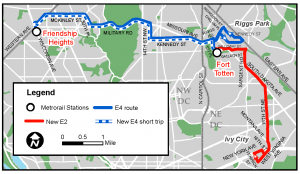 Route E2 will be revised as the Ivy City-Fort Totten Line. 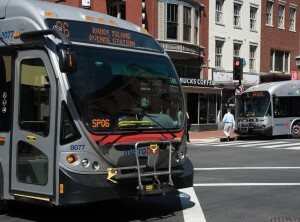 The route will operate between Ivy City and Fort Totten station only, and will no longer connect to Friendship Heights station. 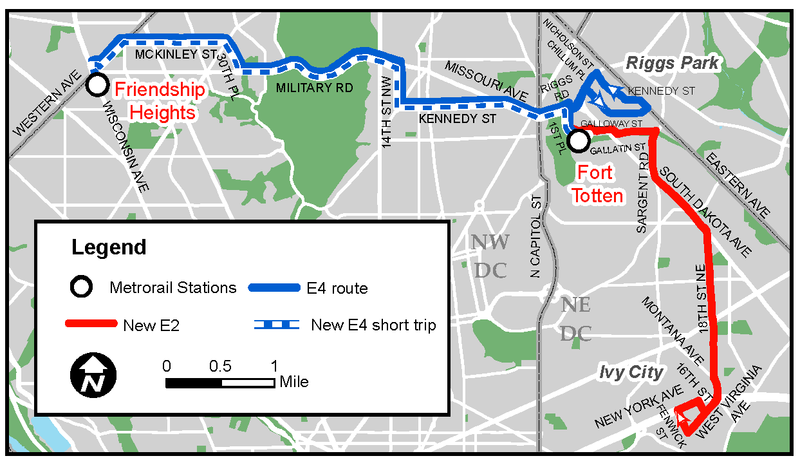 Extra “short trips” on Route E4 will be added, which will connect Fort Totten and Friendship Heights station (bypassing Riggs Park). The E3 weekend designation will be eliminated, because the new E2 and E4 will operate seven days a week. These changes will better balance service and demand, improve reliability, and allow for more service frequency on the high-demand western portion of the line. Shorter trips improve on-time performance and reliability, as a longer route is prone to more traffic chokepoints. A simplified schedule makes it easier to figure out which bus to take, especially for new riders. Check out the new E2 timetables here and the new E4 timetables here. 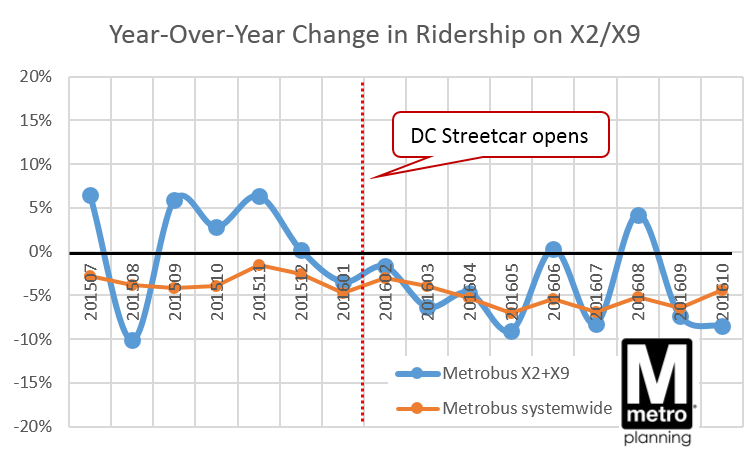 This post is Part 2 of 4 in a series spotlighting major changes from Metrobus’ June 2015 Service Change.